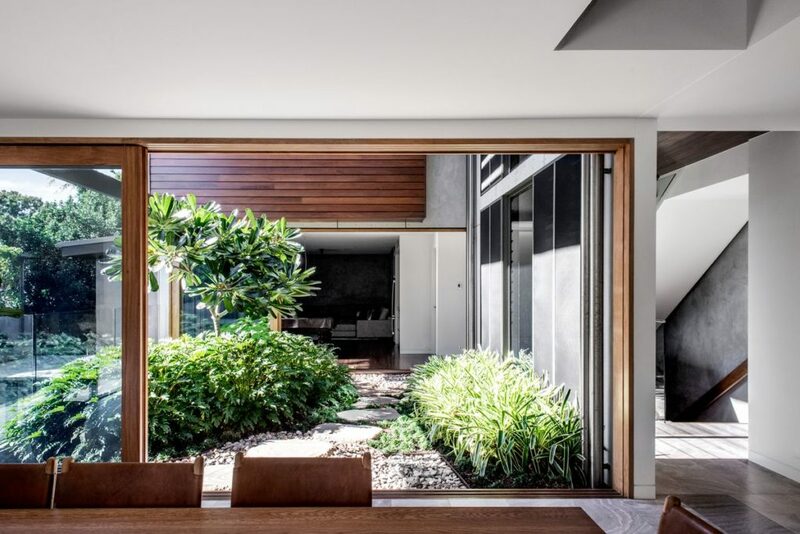 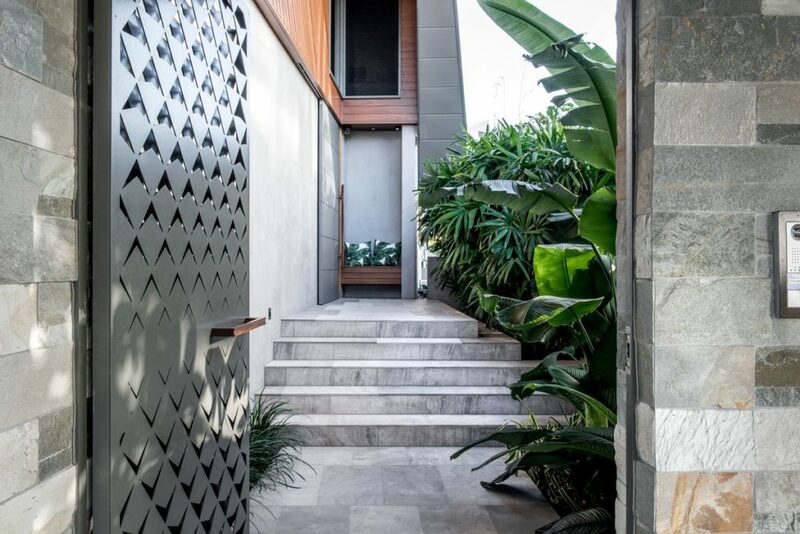 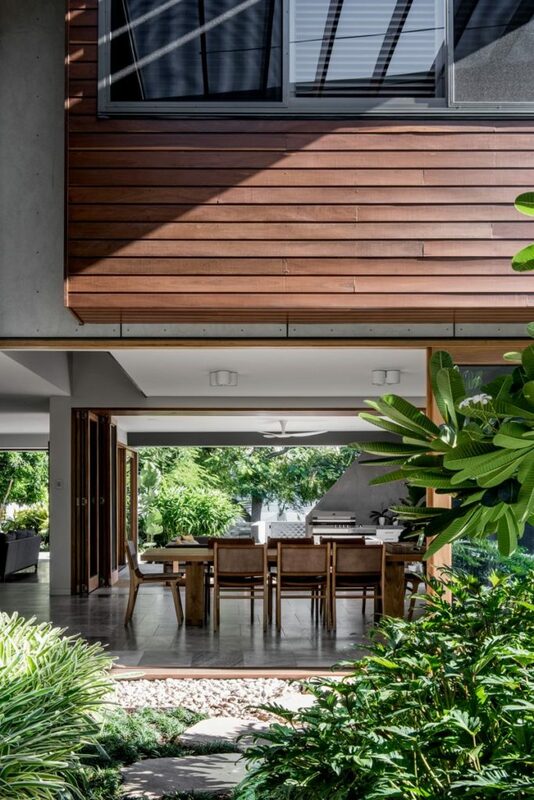 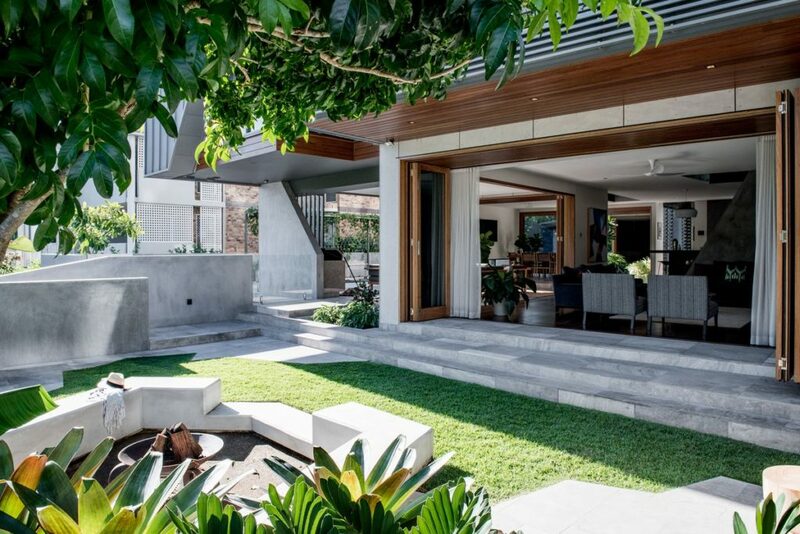 Designed by Jeremy Ferrier Landscape Architect and constructed by Definition Landscape Design this tropical themed garden perfectly complements the contemporary angular lines of this New Farm home, adding a lush green oasis that can be enjoyed both inside and outside the home. 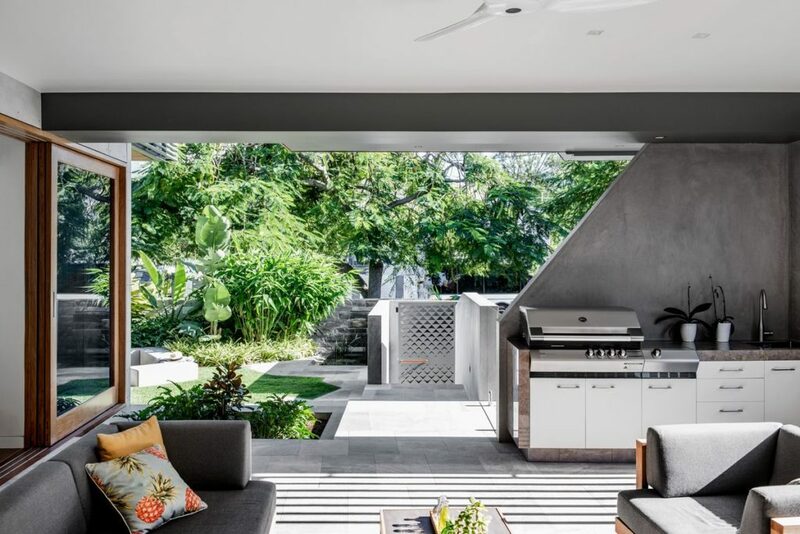 Inviting spaces, including a central courtyard which features a sunken fire-pit surrounded by rendered cement seating, perfect for entertaining on cool evenings welcome guests outside from adjoining entertaining spaces inside the home. 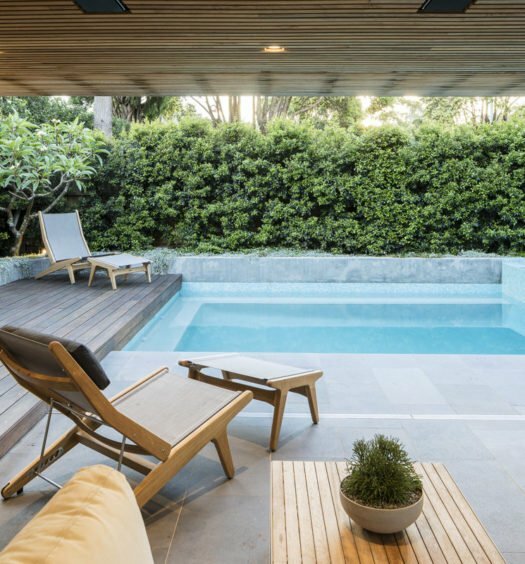 Adding greenery and creating a screen for privacy, a trellis system alongside the pool has been installed for climbers (ipomea). 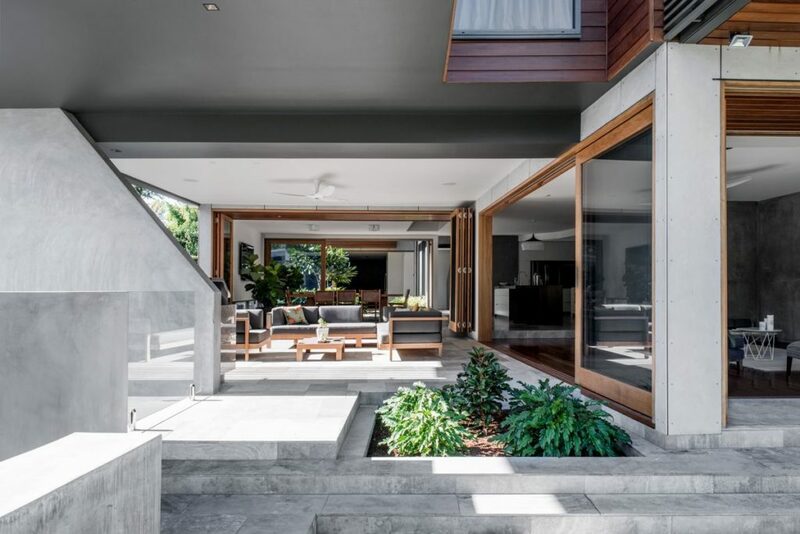 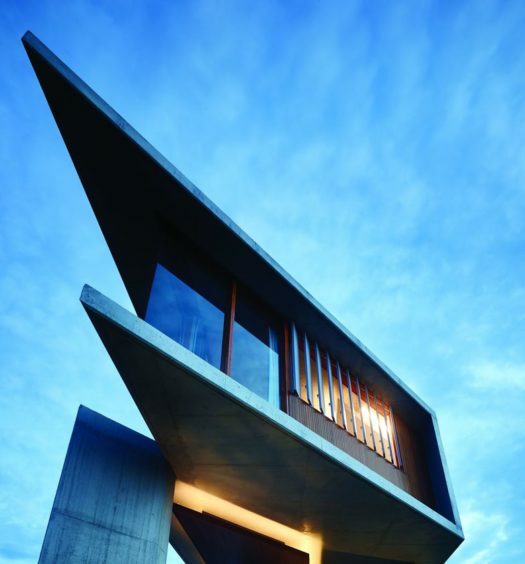 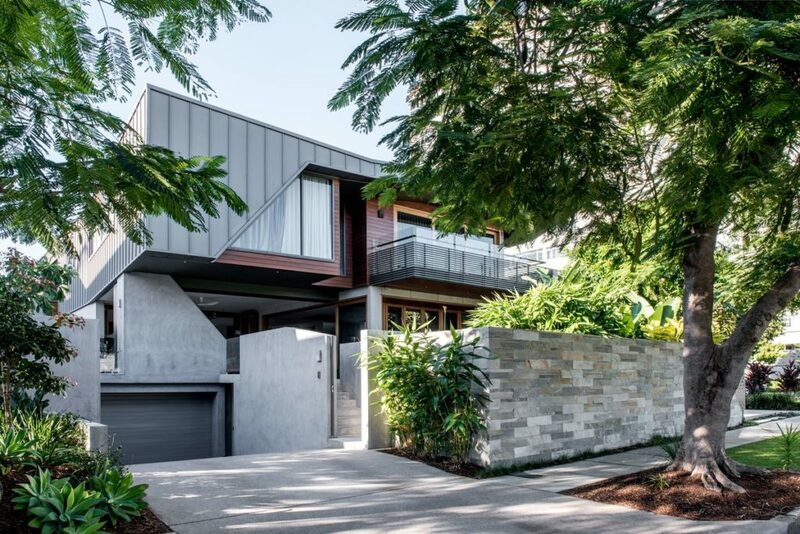 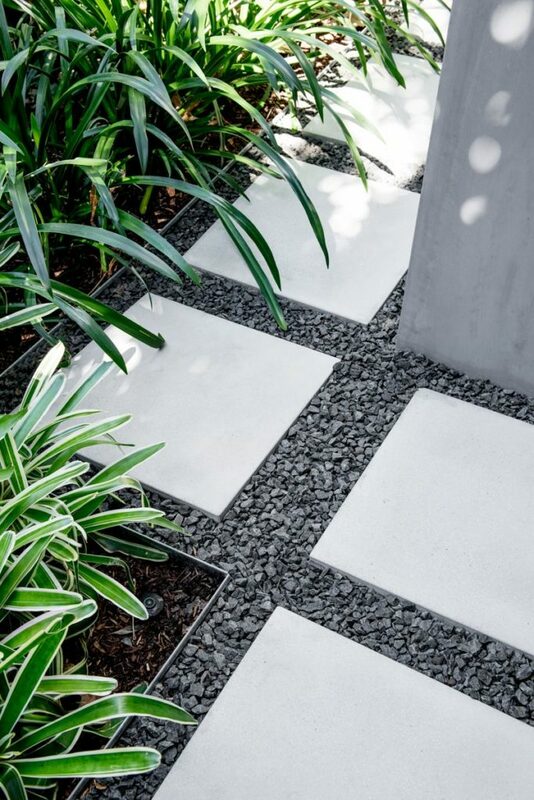 Materials consistent with the contemporary look and feel of the home have been used in the garden design including concrete and stone paving, steel, cement rendered block and oiled timber. 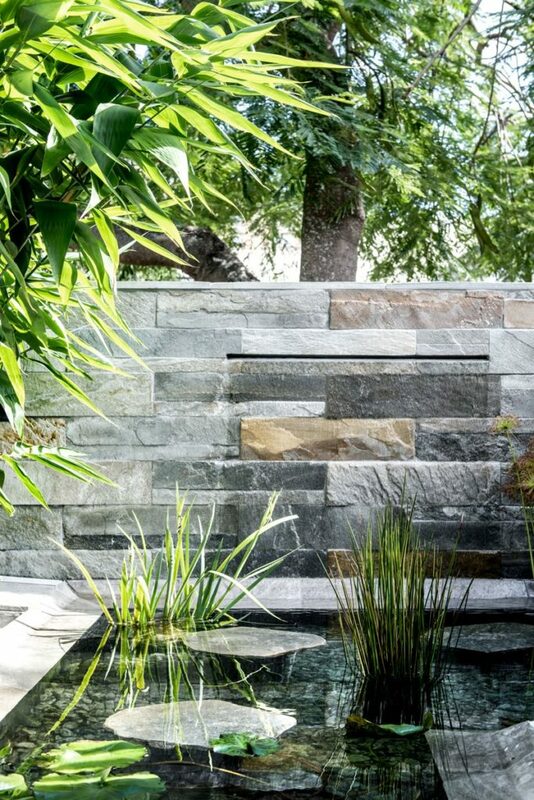 A stone-clad wall creates a beautiful backdrop for a pond and water feature. 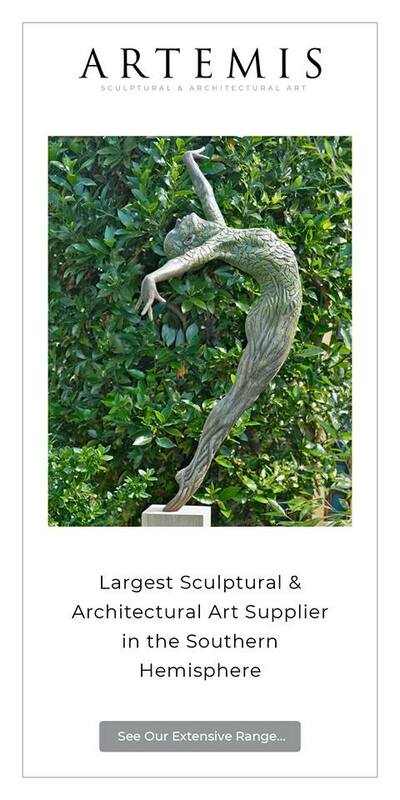 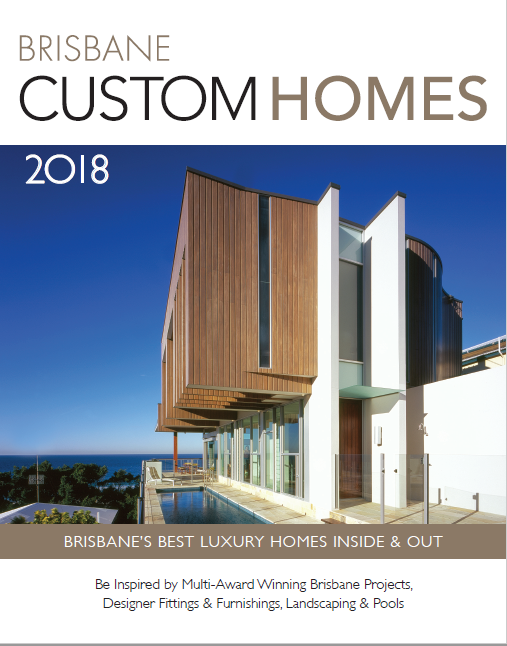 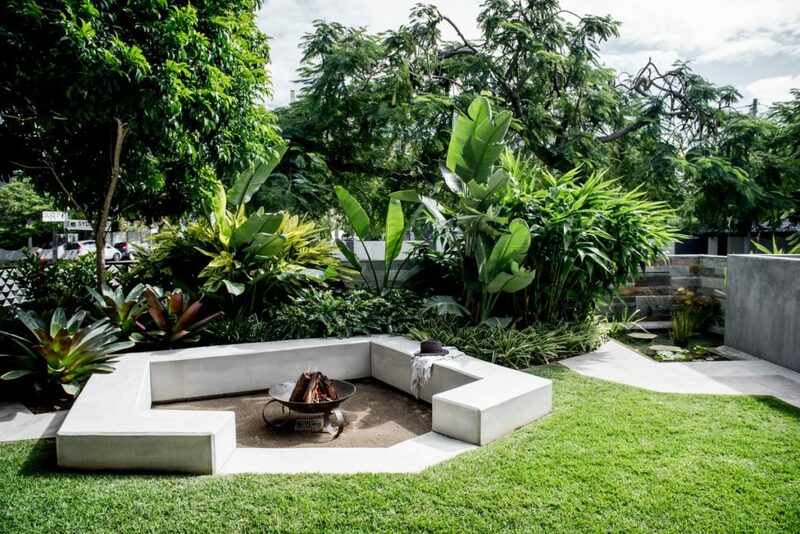 This luxury Brisbane landscape by leading Brisbane landscapers, Definition Landscape was featured in our 2018 luxury homes annual – Brisbane Custom Homes.